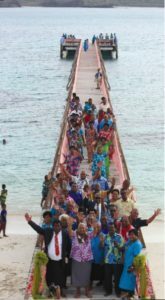 Fiji has long been at the forefront of climate change news from the standpoint of suffering the impact. Now it’s on the leading edge of innovative funding mechanisms to boost climate resilience. On November 28, 2018, the government of Fiji announced that they had collected some 250 million Fijian dollars (approximately $117 million USD) to date from their resilience-boosting Service Turnover Tax (STT) and Environment and Climate Adaptation Levy (ECAL). 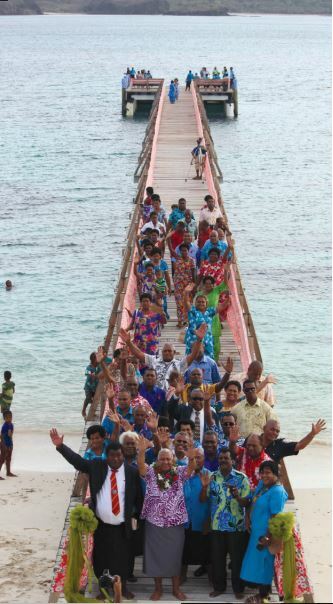 Photo courtesy of Government of Fiji. Fijian Tourism Minister Premila Kumar says that this fund supports their climate change adaptation programs. She plans to increase such investments, to help revitalize the Fijian economy and create more jobs for youths. Fiji’s ECAL is defined as a tax on prescribed services, items and income. It funds the protection and restoration of natural resources, reduction of carbon emissions, and adaptation of the island nation’s infrastructure, economy and communities to the rapidly-worsening storms and sea level rise due to climate change. Rising sea levels are forcing some Fijian communities to relocate, and changes in weather patterns are threatening the nation’s food security. Tourists who contribute much of the ECAL revenues can thus feel good that they are helping to protect the place they love. In the 2017/2018 National Budget announcement, the Minister for Economy announced that the Environmental Levy (EL) will be renamed as the Environment and Climate Adaptation Levy (ECAL) and increased from 6% to 10%. ECAL is aligned to Fiji’s COP 23 Environment Protection Initiatives which reinforces Government’s commitment for all Fijians the right to a clean environment. ECAL would mostly be applicable to Visitors that come for the luxury of the accommodations and the natural beauty and recreational opportunities in Fiji, and they will have to pay a small additional charge to support environmental protection programmes. The Levy will be administered by FRCS however it will be collected by prescribed service providers. The Environment & Climate Adaptation Levy is levied at the of rate 10% on the “turnover” of prescribed service providers effective from 1st August 2017. In other words, ECAL is only charged or levied on prescribed services listed under the Environmental Levy Act. “Turnover” means the total charges for prescribed services that are billed to consumers. 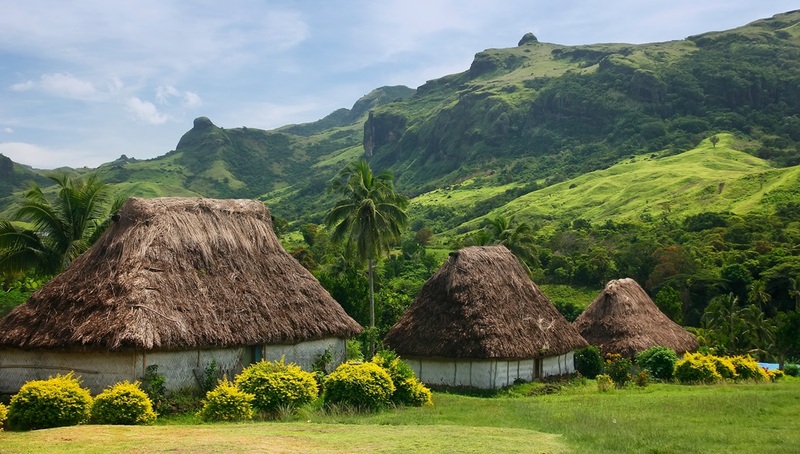 Photo of traditional Fijian village via Adobe Stock. Learn more about the ECAL (PDF).